You’ve heard the stories. The name is spoken in whispers as an urban legend. You think your eyes are deceiving you. But there it is, shrouded in a haze. Even in the darkness, and behind the smoke, it’s unmistakable. You’ve uncovered the mystery of California’s most powerful sativas, intoxicating indicas, and tantalizing hybrids. No gimmicks, no edits. You’ve uncovered … Gas House. Hard-to- find strains. Top-shelf flowers. Thick pre-rolls. Powerful vapes. 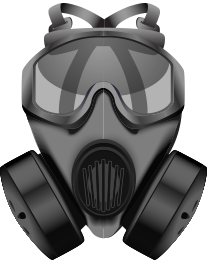 Our product’s stories begin deep in the soil of our farms, and are then forged in the fires of Gas House laboratories. Let me make one thing clear. At Gas House, you aren’t just getting cannabis. You’re getting an experience. You’re gaining admission to a new world. Our strains are designed to pack the highest potency, preserve the most terpenes, and offer you an unforgettable experience. Are you ready to come alive? Keep your eye on the mask. 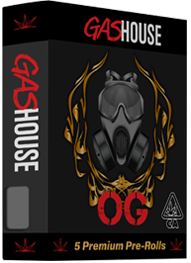 Find Gas House products at the finest selection of licensed dispensaries all over Northern and Southern California. The mask doesn’t represent what you have – it represents what you do. Our cannabis products speak for themselves while holding the front line for industry innovation and customer service. Enter a world of total relaxation and sensory pleasure with a pre-roll of one our heaviest-hitting indicas: Gas House OG. Our thick pre-rolls carry the same heady diesel aroma as our flower – and we’ve already got five rolled up for you. 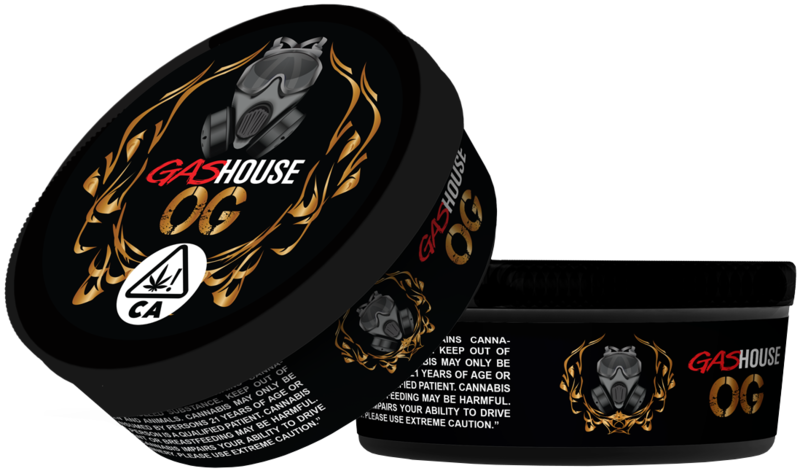 The Gas House OG Premium Pre-roll Pack is equipped with five premium pre-rolls, bursting with quality cannabis. That’s more trees, more experience, and more gas than you’ll find anywhere else.